We are an experienced, versatile, well-oiled art team with proven experience in delivering quality artwork to spec and on time. Amrit Birdi is a best-selling Illustrator with an expertise in comic book/graphic novel art and sequential storytelling. He and his team are best known for delivering the hugely successful Username:Evie, which involved teaming up with Youtube sensation Joe Sugg, award-winning author Matt Whyman and publisher Hodder & Stoughton. Shortly after release in September 2015, it became the fastest-selling graphic novel since records began. There are many approaches to creating sequential art and telling an effective story. 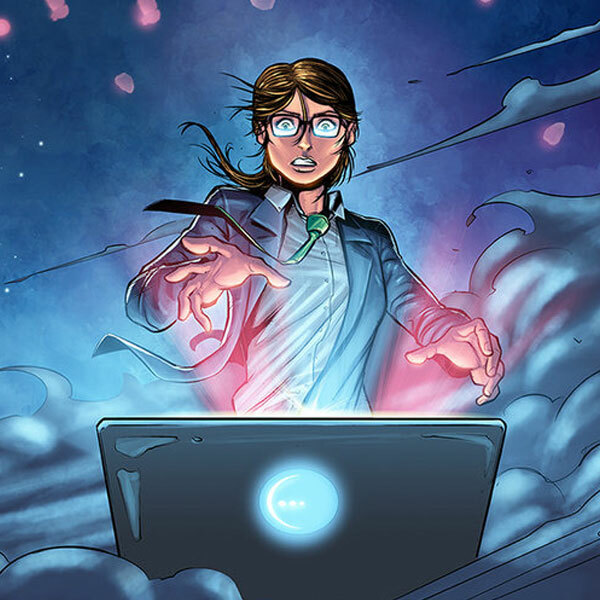 But more often than not production involves a comic book art team, with each member bringing a unique and highly specialist skill to the table. We use this ‘production line’ approach to comics as it helps us ensure the highest possible quality and a timely delivery. As well as undertaking much of the workload personally, Amrit works with a range of top talent in order to deliver a variety of different styles of art, depending on the kind of story that needs to be told. These include storytelling/layout artists, pencil artists, ink artists, colour artists, letter artists, digital artists, project managers, writers, editors and specialist comic book printers. 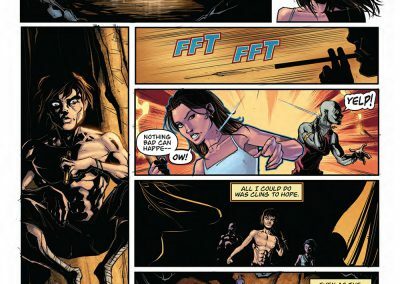 Our service is flexible, bespoke, wide-ranging and can either act as a ‘bolt on’ to your campaign, using us to fill in the gaps as needed or act as your dedicated comic book production team to see a project through from concept to print. Put simply, we are comic book experts. If you need a hand with a project, or are inspired to explore how you can best utilise sequential art in an upcoming campaign, feel free to get in touch anytime. Amrit is not only an enormously talented artist, but a real joy to work with. He is diligent, accommodating and capable of keeping to even the trickiest of deadlines. I would not hesitate to give him my highest recommendation and hope to work with him again in the future.